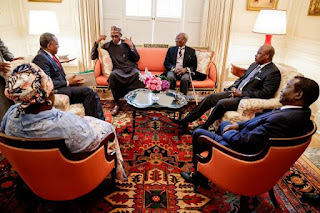 President Muhammadu Buhari is slated to meet with U.S. President Donald Trump in Washington DC today. expected to discuss the threat of terrorism and economic growth in Africa’s most populous country of almost 200 million people.Nigeria has been plagued by extremist group Boko Haram, which launched an insurgency nine years ago with the aim of creating an Islamic State. Tens of thousands of people have been killed, and hundreds of school girls kidnapped, as the group gained notoriety and spread to neighboring countries, posing one of the most severe threats to West Africa’s Sahel region in recent years. Last year, the Trump administration approved a $600 million sale of high-technology attack planes and equipment to support Nigerian military operations against Boko Haram and IS terrorists and to monitor drugs, weapons and human trafficking. The deal was stalled under the Obama administration amid concerns of human rights violations in the West African country. As Buhari faces re-election, he is expected to lobby the United States for further military support to fulfill his campaign promise of eradicating Boko Haram. In addition to seeking greater security collaboration, Buhari and Trump also will “discuss ways to enhance the strategic partnership between the two countries and to advance shared priorities, such as promoting economic growth,” Nigerian presidential spokesman Femi Adesina said in a statement. 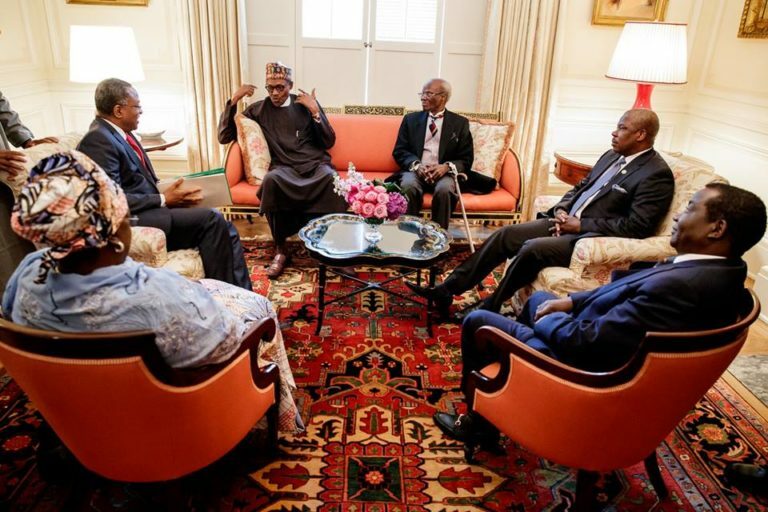 Buhari, along with South African president Jacob Zuma, was among the first African leaders that Trump spoke with on the phone upon taking office.